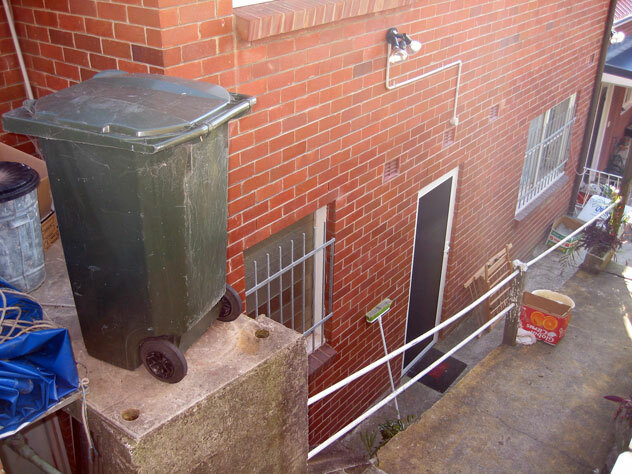 Sydney's most foolhardy rubbish bin is in Bay View Street, McMahons Point. 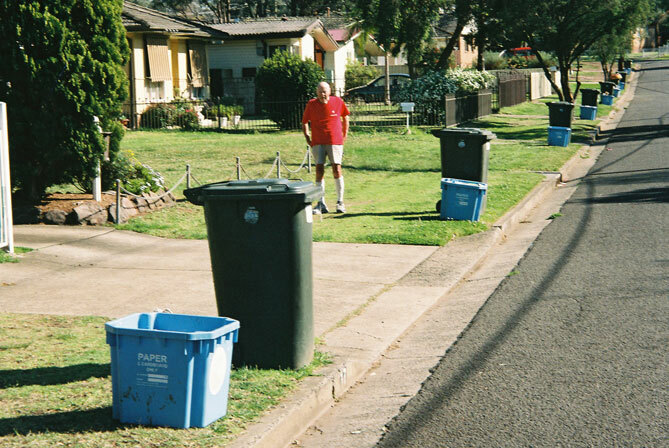 Sydney's neatest people live in Wiltshire Street, Miller - always a small bin followed by the large bin. 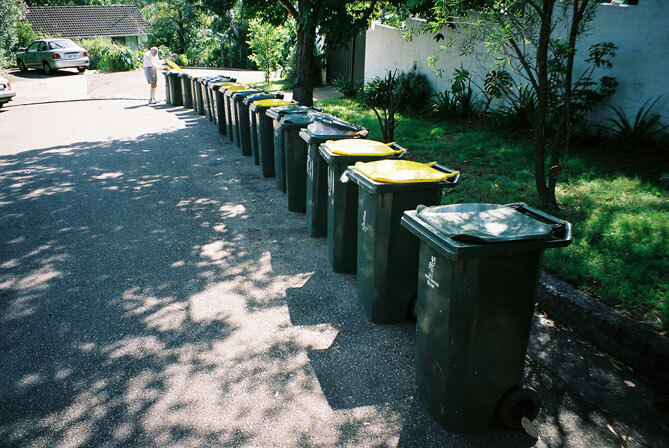 They sure look after walkers in Lane W82, Naremburn. 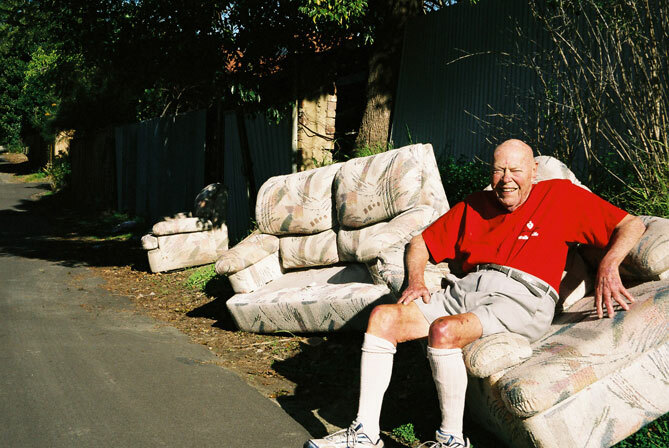 Chester Place house in Narraweena: I’ve cleaned your room out for you while you’ve been away, dear. 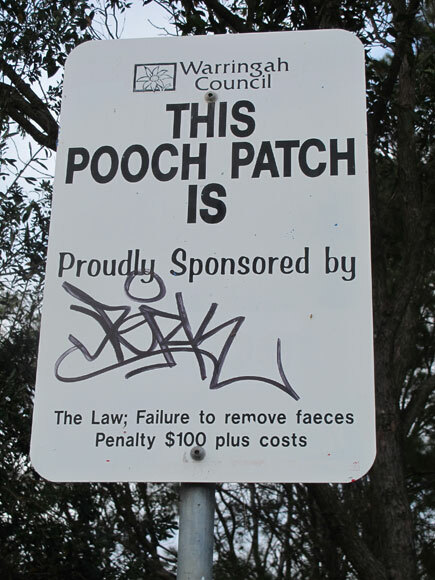 No wonder they haven’t a sponsor in Nolan Reserve, North Manly. Companies don’t want a situation where their product faces faeces. Some minor attention might be advisable prior to vehicle inspection in Plasser Crescent, St Marys. 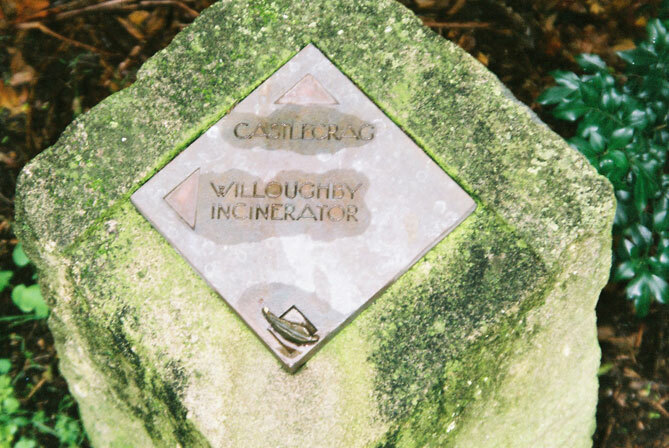 Willoughby: an incinerator, according to this plaque in Tarakan Crescent, Northbridge, that tries to entice you to the neighbouring suburb.